Do you like games? Do you like Jams? (of course you do). Then come on and step into the SLIME ZONE[Patent Pending]. 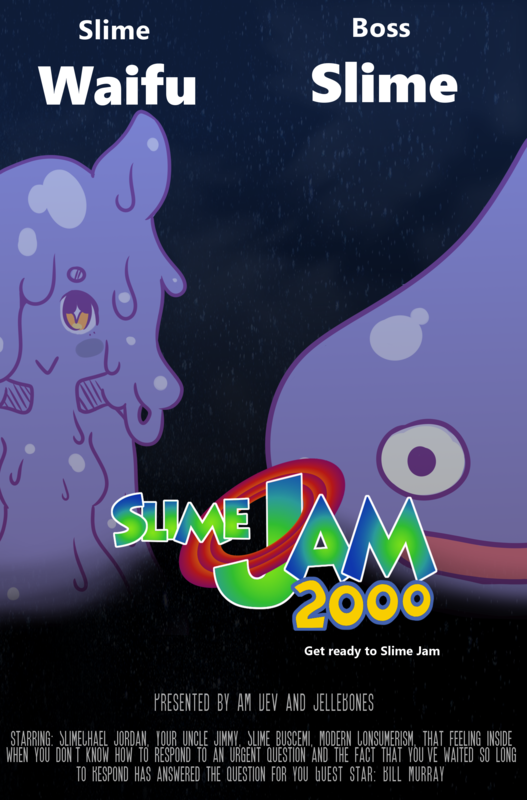 Theme: Slimes of the Past Present and Future! Slimes of all times! No matter their viscosity or flavoring. Make a game w/ multiple kind of slimes and be creative. From a slime rancher working in the mountains to protect his livestock from ravenous cougars to post-apocalyptic slime necromancers, use your imagination. A game about a slime going on an adventure. A short platformer made for a game Jam.